Find Better Ideas, Faster ® with a custom diy toy trend report, our PRO Dashboard and 80+ categories of premium trend reports. 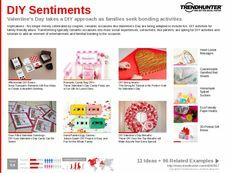 In relation to crafts and homespun culture, the DIY Toy Trend Report shares the latest and most innovative toy kits and online platforms that encourage children to create their own products. This report will explore the newest toys being created that are meant to be constructed by children in their own homes. 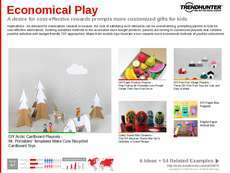 This theme allows for toys to become educational, experimental and entertaining. We will also look at the creative online outlets that are presenting children and parents with step-by-step guides for assembling self-created playthings. This report will first and foremost greatly impact the toy manufacturing industry because it will address the current trends and existing products. Secondly, this report will benefit the blogging community and mediums that rely on bloggers to expose new and relevant activities. The DIY Toy Trend Report will inform you of the current consumer desire for homemade products, which will ensure that your next toy meets these demands.